Did the 2000 Krieger fail? Potential issues with Krieger 3000W inverter – I built this unit to specs, but decided to install the 3000W inverter for more flexibility. I initially built this to have as a backup to run my 3/4hp shallow well jet pump in case of power outages. It would not start the pump. I checked the pump and it runs perfectly on house current so there’s something in the inverter that’s stopping the process. I’ve been in discussion with Krieger. They at one time told me that there are certain items that don’t do well on this inverter. For example: motors like my pump, some resistance type units like coffee makers, fluorescent lights, some compressors (refrigerators/freezers) and sensitive electronic equipment like TV’s and computers. This is due to the fact that the inverter is a modified square wave inverter and not a pure sine wave inverter and doesn’t replicate exactly the similar power curve that house current produces. I’m going to be switching to a pure sine wave inverter. I also discovered that for some loads like induction motors, it can take 3-7 times the rated power to start them so if you’re using this for higher loads, you need to use a “Low Frequency” inverter. Unfortunately the buggers are extremely heavy: 30-45 pounds which defeats the purpose of this portable unit. High Frequency inverters will work, but the power draw can eat up the Mosfet processors in 1-3 years. Good news: the processors are relatively cheap ($10-$25) if you can replace them yourself. So bottom line: Before you invest in building this awesome unit you need to analyze what you’ll be using it for. It works great for things like power tools and incandescent lights and such but may not be completely useful in an emergency power loss situation. Since you’ll be spending somewhere close to $2,000 for this (including solar panels (I used 3)) you need to be darned sure it will work for what you want it for. Finally got this project completed. I’m using a 2000 watt Renogy pure sine wave inverter and a couple of minor changes. I had all the components during hurricane Harvey, but kept power somehow. I’m good to go now and testing has gone great. I’d upload a pic but have no idea how to do it with iPad. Once again, thank you so much for sharing your idea. Hi Mark , I’m getting ready to start my build. I too needed to switch to a pure sine wave as mentioned in my last reply. The only one I found at a reasonable price was the Aims PWRI300012IOS 12 V 3000 watt. Unfortunately it will not fit and can not be mounted in the pelican box. 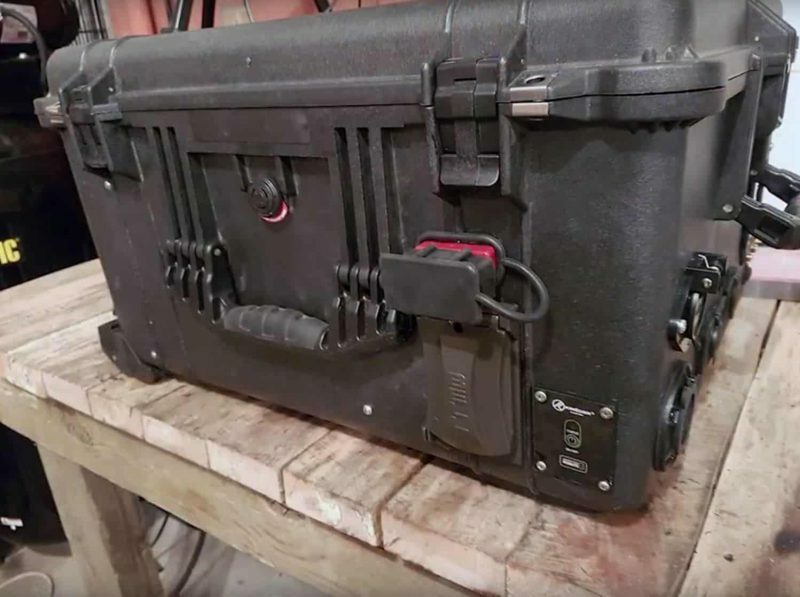 But, I can travel with it in the pelican box for security, When I get to my final destination I plan to place it on top of the pelican box for operation. I’m thinking of connecting it with a battery quick connect. The AIMS comes with AC outlet and USB port, so I’ll have some extra advantages. 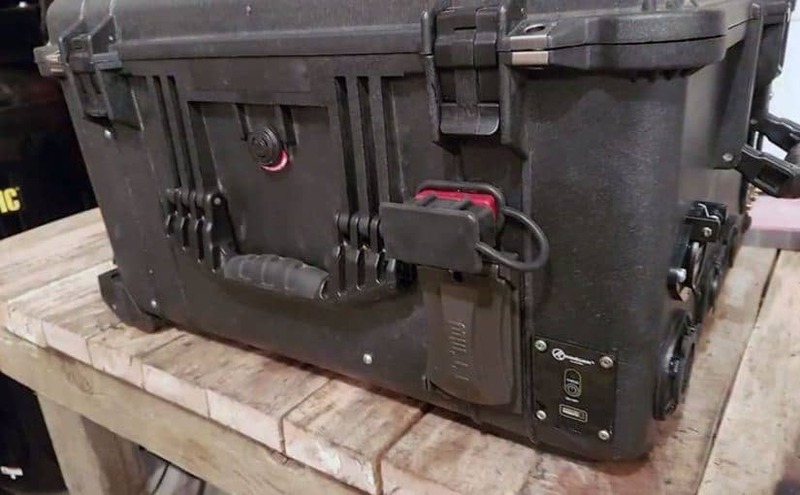 In addition, I wanted to make a custom box for one of the Flood Lights with on/off switch and connect it to the outside of the pelican box. I want to use it with an extension cord attached from the light to the pelican box . Do you have any suggestions as to what connection I should use to connect the wires from the light to the outside of the Pelican box. In addition do you feel I’m making a good choice on the Aims, If not do you have any suggestions. My main concern is some electronic and sleep aid equipment. I would eventually add two more panels and possibly another battery. William, I found a 3000watt pure sine wave inverter from Reliable Power on Ebay. It cost me $270 w/shipping and according to the manufacturer’s specs, it should just fit in the Pelican. You might want to check it out. Hi Mark , Thanks for info. Do we need to be concerned about the heat generated in the pelican box, with the battery and 3000 watt pure sine inverter. The inverter has a fan, should we provide an opening or vent. 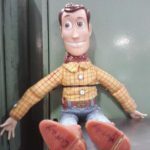 Hey Mark, Just finished my generator. Would like one of your stickers. Thanks. 3545 E. Calle del Prado, Tucson, AZ 85716. (300+) recharges. Is there a reason you chose the blue top. You also chose the VMax I think it was for an expander battery. If you were to start over designing would you still choose the blue top Optima? Check out my topic for another build. Thanks for posting your build photos and design details Tomcat! It looks like a very well built solar generator! My 11 year old son and I will be building this for a science project and then using it during camping and any inclement weather emergencies. Is there concern for the heat crested in the box? connections between components of the fuel system. Hi Mark, I have thoroughly enjoyed your video tutorials on the solar generator and have been engrossed with buying and locating certain parts. I am curious. A nuclear plant is required to replace rather large batteries every five years even though they have a life-span of 15-20 years. Seem like I could easily recondition a battery or two for my uses. However, they are honkin’ big batteries and I thought I would ask your input. The batteries are GNB Flooded Classic NXT-33 They weight about 400 pounds I believe. BUT they have an amp/hour of 2264. Plugging in the item reveals all. That is interesting Mitchell! I am not at all familiar with these batteries, but sounds like they would be worth checking into! I have determined that the 4000 watt (6000 watt peak) inverter cuts out at less than 2000 watts when I try to power up my 1500 watt saw. After reading some reviews on Amazon, I see this is a common problem with this inverter. It works well the first time, then not so well the second time. Is this low output to be expected or should I be able to reliably power up a 1500 watt tool or appliance without trouble. It has a 3 year warranty so I will likely exchange it rather than try a different inverter-for now. Previous Previous post: Kubota B20 Moves Under its Own Power!